Please use our Enquiry Form opposite to let us know your requirements and we'll contact you by return! We welcome enquiries from hotels, restaurants and catering outlets in London and the home counties and will be delighted to supply you once you have an approved credit account with us. Please see our Service page to check which areas we cover. Unfortunately, we are unable to supply individual households and retail outlets. All transactions are subject to the company’s standard terms and conditions of sale, a copy of which is available on request. 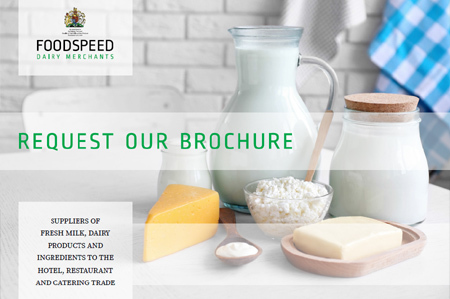 For a printed copy of our full product brochure, or to download a digital version, please tick the brochure request box on our enquiry form opposite, email us, or phone 020 8848 8006. Please tick a box if you would like to request a printed or digital copy of our full product brochure. We will contact you to follow up your enquiry. After we have replied to you, we would value being able to keep in touch with you. To do so we require your consent to send information concerning important delivery days (for example over Christmas and Easter), product news and offers, and occasional customer surveys.